Welcome to the e-GP website. From here you can access the e-GP online e-learning resource for NHS General Practitioners and doctors undertaking specialty training for UK general practice, jointly developed by the Royal College of General Practitioners (RCGP) and Health Education England e-Learning for Healthcare. 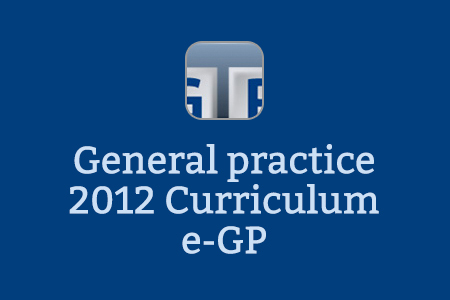 The e-GP resource provides a programme of e-learning modules covering the RCGP curriculum. Each module is made up of reflective and interactive e-learning sessions that enhance GP training and support preparation for appraisal and revalidation. You can view a list of e-GP sessions currently available using the Download button below. 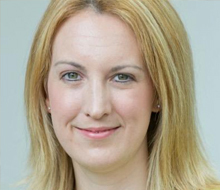 Over the past two years, the e-GP programme has been extensively updated to ensure the content remains current and contemporary, and continues to underpin the RCGP curriculum. This session explores the ways in which GPs effectively and appropriately close the consultation. One of the most useful aspects of e-GP is that it covers the whole GP curriculum. Trainees can sample the e-learning sessions across a range of topics and do not necessarily need to go through every single session of every single module. I think it is really useful for specialty trainees who have not covered certain topics in their training, such as ‘genetics’ or ‘learning disability’, to be able to work their way through the sessions on these topics. It is then easy to add the completed session as an entry on their ePortfolio. Study groups preparing for the nMRCGP assessments are able to share out some of the sessions between them and then feedback the key information to one another. Each session of e-learning gives about the right quantity of information to discuss in a tutorial. It is very convenient to have GP-related information on a topic grouped into a single session, and to be able to access the links without having to spend a lot of time ‘Googling’. The mix of words, pictures, videos and self-testing exercises makes the sessions easy to read and appealing to people with different learning styles. I also like the fact that some sessions are written by well-known GP figures and others are written by GPs who have only recently been through the new exam process themselves. I find e-GP to be an easily accessible resource which covers many areas of the RCGP curriculum. It allows me to target my learning around areas of the curriculum I feel less confident in such as adolescent health or end of life care. With each e-learning session stating the approximate amount of time it will take to complete I can plan my learning time effectively around other commitments in the busy working week. Providing evidence of completion of each e-learning session either by a certificate to print out or a direct link to my ePortfolio is very helpful. e-GP is an excellent tool to address specific learning needs highlighted in my learning log or to address areas for development identified in my PDP. 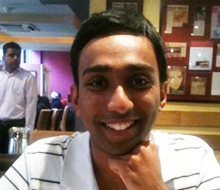 I was intrigued by the idea of e-GP at the beginning of my registrar (ST3) year and after exploring it in more detail, I realised it is a useful way to supplement learning, being easily accessible 24 hours a day. The content is up to date and the sources are reliable. New modules are added regularly and there appears to be something for everyone. Given the vast amount of medical information on the web, it is useful to have websites created by the profession for the profession. It is reassuring to know that modules are written by some of the leaders in the field such as Roger Neighbour MBE, a past President of the RCGP. Some modules are aimed at trainees and others for experienced GPs. The modules are useful tools to refresh one’s memory or help to aid new learning on various topics. It is nice to have easy access in one forum to many modules covering subjects as the Consultation Model, to others focusing on Clinical Management or Genetics in Primary Care. e-GP also allows trainees to log their learning on their e-portfolio helping trainees become better doctors and reflect on their learning. All trainees are automatically registered for free access to e-GP and I would encourage everyone to use it. 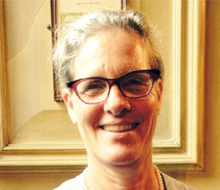 We would like to acknowledge: Suchita Shah, Sally Higginbottom, Jenny Bedford, Matthew Castleden, Barbara Noble, Khyati Bakhai and Richard Stones, who have contributed greatly to the e-GP Review Project. The e-GP editorial team include the Clinical Lead and Module Editors. Each e-GP module is led by one or more Module Editors who are responsible for overseeing the development of clinical content for all the e-learning sessions. Click on the editorial team member’s name to see their biography. If you already have an account with e-LfH, then you can enrol on to the e-GP programme by logging in to the e-LfH Hub, selecting My Account > Enrolment and selecting the programme. You can then access the programme immediately in the My e-Learning section. In the event that you do not qualify for free access to the e-GP programme, you are able to license access through eIntegrity, a community-interest company established for this purpose. For more information on the licensing options available for the e-GP programme, please visit the eIntegrity website.